Great Place To Work® Institute is a pioneer in studying and recognising the best workplaces around the world. For more than 30 years and in over 58 countries, Great Place to Work Institute has been conducting studies to understand and recognise the best workplaces. Its study in Sri Lanka is based on the global model and a rigorous methodology, which has been researched, tested and carried out in similar studies around the world – including in the Americas, Europe and Asia. THE INITIAL STEP The first step to being recognised as a great workplace is to voluntarily undertake a paid assessment with a view to being certified and opting to participate in the ‘Best Workplaces’ study. While all organisations undertaking the Great Place to Work assessment have the opportunity to be certified upon meeting global standards, participants who submit their results to the Best Workplaces study and meet the global grades will additionally be considered for the list of the ‘Best Workplaces in Sri Lanka’ each year. To qualify for the National Best Workplaces study, an organisation must have 50 or more employees, be a registered entity in Sri Lanka for two or more years and not have been part of a merger or acquisition that changed the number of employees by over 25 percent in the year of assessment. TWO LENS MODEL The Great Place to Work Model considers organisations from two perspectives: the employee perspective – whereby the employee’s experience and engagement levels are evaluated by using the Trust Index© survey (i.e. to measure employee perceptions); and the manager’s perspective – to evaluate the culture of the organisation, and practices established by management for which the Culture Audit© tool is used to measure intent and quality of interaction with employees. EMPLOYEE EXPERIENCE A unique employee centric framework is adopted to measure the levels of trust (viz. credibility, respect and fairness), pride and camaraderie that prevail in an organisation through the Trust Index survey, which is a proprietary employee tool developed by the Great Place to Work Institute. Comprising 56 statements and using a Likert scale, the universal instrument measures employee experience through the five dimensions of the Great Place to Work model. Another five statements – customised to suit Sri Lanka – have been included to capture the local context and other cultural nuances. Administered in multiple modes – i.e. online, paper, pencil or kiosk depending on the organisation’s requirements – the survey is available in all three languages. A rigorous methodology for maintaining anonymity is followed so that individual responses cannot be tracked by organisations participating in the survey. This provides employees with an opportunity to provide candid feedback on the organisation and cements the credibility of the assessment. Through two open-ended statements, the tool also captures employee comments about what makes their workplace great and what would make it better. And it encourages employees to submit their opinions and suggestions through anonymous responses. All organisations that participate in the study are evaluated and selected primarily on the basis of their employees’ responses to the Trust Index survey, which carries two-thirds of the weight in the overall score. MANAGER PERSPECTIVE The manager’s perspective as well as the practices established by management are measured by a proprietary tool and evaluation framework called the Culture Audit. This is a comprehensive questionnaire in which the organisation submits detailed material on the practices it has adopted, which are subject to rigorous evaluation. This instrument helps gauge not only an organisation’s structure, demographics, compensation and benefits, but also its philosophy and values, and the manner in which they’re integrated into their people practices. The remaining third of the overall score is derived from this Culture Audit. SURVEY PARTICIPATION For organisations that employ between 20 and 200 people, all employees are selected to participate in the survey by default to be considered for the first step of certification. Organisations with 200 or more employees have the choice of everyone participating or a stratified sample of randomly selected staff members undertaking the Trust Index survey. 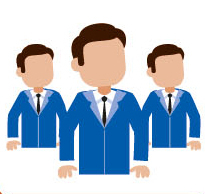 Sample selection is performed statistically by Great Place to Work systems. The eventual sample, which has a confidence level of 95 percent, is dependent on the total number of employees from the full list of staff members working in the organisation. EVALUATION To maintain the accuracy and validity of the study, stringent audit processes are followed during and after the completion of the survey. In addition, communications by the organisation to its employees are templated and pre-approved to ensure that the authenticity of responses isn’t compromised. The Trust Index survey scores are tracked and an audit requirement is triggered whenever abnormal trends are observed in the employee survey scores. There have been instances of employee opinions being solicited in a controlled environment if required – especially where the audit team has felt the need for further verification of employee survey data. Furthermore, as Great Place to Work uses the two lens model that evaluates both employee perceptions and established practices, it can relate employee feedback to identify practices that may not be in effect, or are inaccurate or not implemented, which triggers a separate verification and audit of the practice itself. There are also examples of organisations that have been disqualified from the process or not been considered for listing because they didn’t adhere to the standard survey process established and accepted by Great Place to Work. Maintaining and enhancing the rigour of the study is the topmost priority at Great Place to Work Institute, which prides itself on upholding this process. Great Place to Work® incorporates proprietary assessment tools and advisory services based on 30 years of research, to provide the model, benchmarking and guidance needed to build, sustain and recognise outstanding workplace cultures. STUDY IN A NUTSHELL In its sixth consecutive year of the study in Sri Lanka, more than 30,000 employees were directly surveyed at a response rate of 83 percent from in excess of 115 organisations with a reach of over 62,000 employees. The list of the 25 Best Workplaces in Sri Lanka for 2018 has been compiled and an analysis of the study conducted using this data as the foundation. A ‘Great Workplace’ is defined in terms of three key relationships that reflect employees’ trust of the people for whom they work and pride in what they do, and camaraderie among those with whom they work. The study depicts that in line with global trends, pride is the highest scoring dimension at a national level across the six years. Compared to the previous study, another observation is the rise in employee perceptions of opportunities to advance professionally. BEST WORKPLACES Five key dimensions that are important in creating a great workplace are credibility of management, respect for the individual, fairness in the organisation, pride in work and camaraderie among colleagues. Data accumulated over six years of conducting the Great Place to Work study in Sri Lanka displays an overall improvement within the top 25 tier with all dimensions scoring in the 80th percentile in 2018. There is a noteworthy all-time high in the averages of key dimensions – with an overall improvement from an 11 point gap between the highest and lowest scoring dimensions in the 2013 study to only a six point difference in the 2018 study. This is a testament to the efforts invested by the Best Workplaces to enhance all aspects of their culture. Twenty organisations in the 2018 Best Workplaces list have been recognised previously as well. These improvements are a result of continuous corrective measures that have contributed to a high trust, high-performance culture within these organisations. Significant improvements include an overall increase of four points in the Trust Index score from a 79 percent positive perception in the inaugural study (in 2013) to 83 percent in the 2018 version. The pulse (overriding) statement, which gauges the overall perception of employees, reflects a two point increase from 87 percent in the 2013 study to 89 percent this year. Great Place to Work research indicates a five to 10 point positive gap between the average overall pulse (score for overriding statement) versus the collective perception (average organisation score), which is an indicator of a healthy organisation. The 25 Best Workplaces have consistently maintained this gap. This data resonates with the overall improvement in the quality of the Best Workplaces in Sri Lanka over the last six years. An analysis of key demographics in the 2018 study also provides valuable insights. 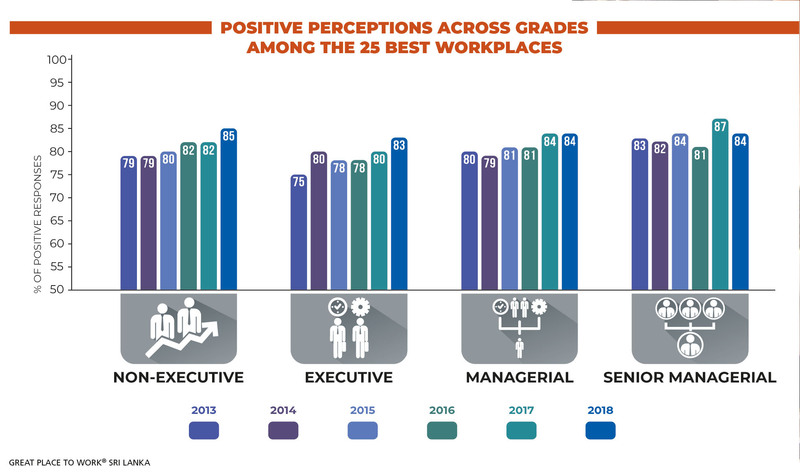 Non-executives are the most positive in perception across ‘grades.’ Furthermore, data over the years also indicate that managing employee perception among executives continues to be challenging even for the Best Workplaces. Gender is another demographic of pertinence to the Sri Lankan workforce. The initial studies revealed disparities between female and male perception, indicating a lower level of trust on the part of female employees versus their male counterparts. 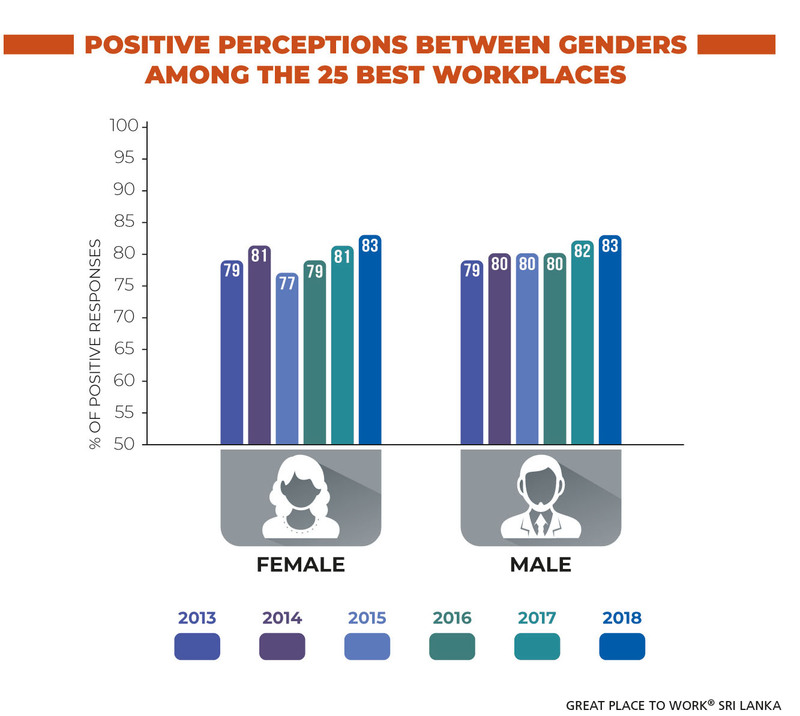 However, female perception has steadily improved at a higher rate than male perception in the last four years, resulting in similar scores in overall positive perception in the 2018 study. Yet, the female-male ratio in the study remains at 1:3. Moreover, there are areas in which experience appears to differ between the two genders. NATIONAL OVERVIEW In the overall study in Sri Lanka, pride continues to be the highest scoring dimension (75%) while fairness remains the lowest (64%). These scores lag behind the 25 Best Workplaces. 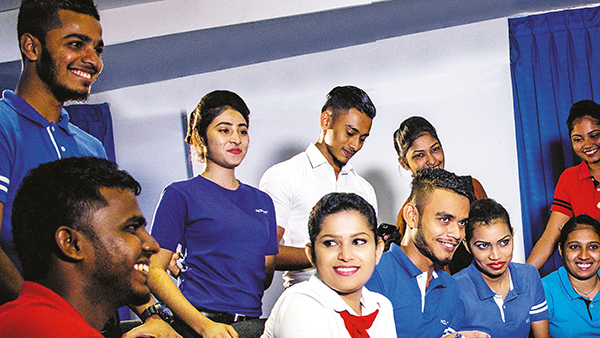 Within the pride dimension, workplaces in Sri Lanka have scored the highest for positive perception on corporate image and pride in the team, indicating that employees take pride in their workplace (81%) and their contribution to society (78%), as well as their accomplishments as a team (79%). Camaraderie is another high scoring dimension where hospitality in terms of friendly workplaces (80%) and a welcoming work environment when joining an organisation (80%) are both areas of high positive perception. Furthermore, survey data indicates that employees think positively about organisations that supply the necessary infrastructure in terms of resources and equipment to do their job (79%), thereby providing support, which falls under the dimension of respect. However, Sri Lanka faces challenges that need to be tackled in terms of fostering a Great Workplace environment. Impartiality and equity being particularly low scoring areas leads to fairness remaining the lowest scoring dimension. Positive perception on fair promotions (52%) and fair pay (55%) remains at low levels. Credibility in the context of management delivering on promises (58%) is another low scoring area on a national scale. BEST VS THE REST The study discloses 12 statements covering the three key dimensions of fairness, credibility and respect as having the widest gaps between the best versus the rest. Representing these dimensions, management’s propensity to deliver on promises, fair pay and fair promotions are key statements – they reflect a significant gap of 24 points between the best and the rest in each area. Profit sharing, grievance redressal mechanisms and impartial performance evaluation are areas where the best 25 are ahead of the rest with a large margin. All these concerns come under the fairness dimension, which has the poorest perception both locally and globally. When considering overall dimension scoring, it is apparent that the best have maintained a positive trend in each dimension with an overall lead of 17 points over the rest. A dedication to creating a Great Workplace culture and continuous efforts to improve has enabled the best to stand out from the rest. Great Place to Work’s mission is to aid in building a better society by helping organisations to transform their workplaces and create a high trust, high-performance culture. Wherever you are on your journey, you’re invited to join in and contribute to making a Great Place to Work for all. Every year, the Great Place to Work® category awards recognise organisations that demonstrate excellence in specific areas of people management that contribute to the overarching goal of instilling a great workplace culture in Sri Lanka. Organisations that best demonstrate the parameters under consideration are recognised under four award clusters: Excellence in People Initiatives (three selected practices), the Cube Awards for Special Recognition (two selected areas), Organisation Size and Classification, and Laureates (organisations listed for five years in a row). This year, organisations have been evaluated on a par with focus areas that are pertinent to the present Sri Lankan context. EXCELLENCE IN PEOPLE INITIATIVES Great Place to Work Institute considers the Excellence in People Initiatives recognition as an opportunity to create awareness and encourage best practices that support in building and sustaining a great workplace. Leaders in these categories score high in both people practices (two-thirds of the final score) as well as their respective employee perception scores (one-third of the final score). Great Place to Work Institute’s research over the last 30 years has identified nine practice areas that organisations must focus on to create a distinctive employee experience that provides them with an advantage over others. The three practices selected for this year’s awards are of particular relevance to areas that can be improved within the Sri Lankan workplace culture to drive greater employee engagement – viz. 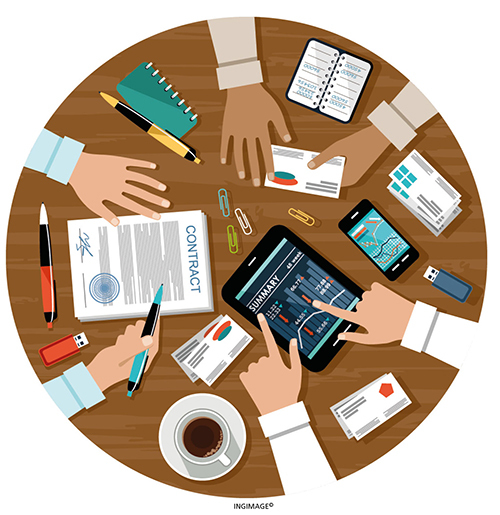 inspiring employees, performance management and employee collaboration. EXCELLENCE IN INSPIRING EMPLOYEES This practice area is recognised as being pivotal to motivating and engaging employees. It revolves around helping employees learn and understand how their job has meaning in the organisation and in society beyond simply earning a salary and making a profit for the business. 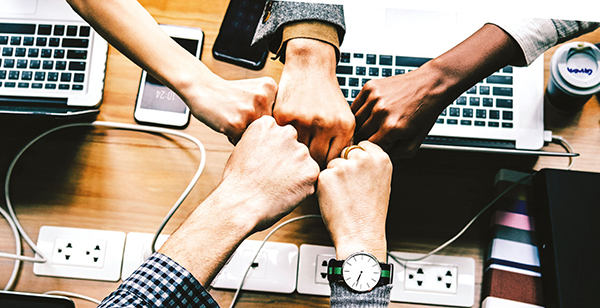 Great workplaces design rituals and practices that reinforce pride in the organisation, by conveying and connecting employees to the organisation’s mission, purpose and goals. The ‘right stories’ are communicated to showcase shared values and aims. This contributes to aligning employees to achieving organisational objectives as well as the cultural assimilation of new recruits. For example, the multinational Qualcomm has a practice called ‘52 weeks of storytelling.’ Every week, a story of how a particular value was lived by people in the organisation is communicated. With this practice, managers energise and inspire people to raise the bar and live by the values of the organisation. EXCELLENCE IN PERFORMANCE MANAGEMENT This award considers the key principle of rewarding, which contributes to management’s ability to spur employee performance. Employees like to see the outcome of the work they put in for themselves in tangible ways. Great Workplaces share wealth with employees generously and fairly, by establishing practices such as profit sharing, employee stock options and so on that promote a sense of ownership of the organisation among employees. While competitive and assured compensation for all employees is expected, transparency and internal equity in terms of reducing hierarchy based benefits, and differentiating employees through performance based incentives for both individuals and teams, provide the foundation for maximising this practice area. Managers act as the bridge between employees and senior management to ensure fairness of the performance appraisal process. 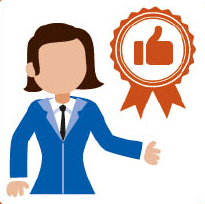 Recognition, appreciation and compensation of an employee’s effort provides them with the incentive to work towards achieving the organisation’s overall goals more diligently as they find the process rewarding for both the organisation and themselves. EXCELLENCE IN EMP­LO­YEE COLLABORATION Facilitating and encouraging employee collaboration is essential to the creation of a great workplace. Collaborative ideas and efforts yield higher results as management effectively has more minds working together to realise the organisation’s goals, which adds to business success in the long run. It provides an additional insight of a 360 degree view of situations. Through collaboration, employees feel involved and included, which instils a sense of ownership of the organisation and accountability for achieving objectives. 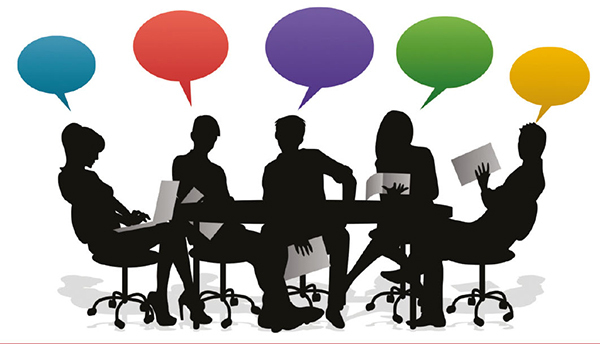 Listening is a key component of collaborating. In practice, this principle translates into institutionalising special and open systems, and an environment for soliciting and incorporating people’s ideas, suggestions and creativity, as well as including employees in decision making that affects their jobs, workplace and the direction of the business. 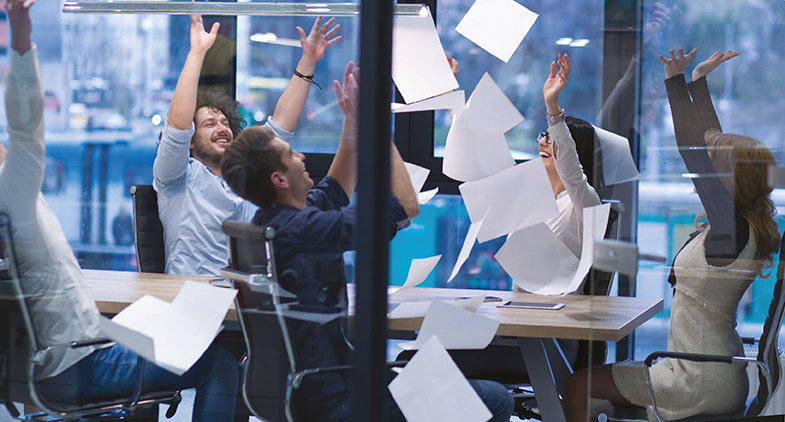 Great workplaces differentiate themselves by empowering employees in decision making, and incentivising collaboration by giving credit to contributors of ideas and putting them into action. BEST IN TRUST Great Place to Work® identifies trust as the foundation upon which great workplaces are created. Inculcating a sense of trust involves establishing the synchronised presence of credibility, respect and fairness within the organisation. There are many benefits to building a culture of trust. Firstly, employees can focus all their energy on achieving business objectives. People don’t have the various distractions that come from a low trust environment, such as internal politics, poor communication or lack of clarity about goals. Secondly, people are more willing to give their personal best. When people feel they’re secure and appreciated, they are more willing to offer good ideas. Therefore, innovation thrives in great workplaces. And thirdly, employees are more cooperative in an environment of trust because people view each other as more than merely coworkers when they trust each other. They often use the term ‘team’ or ‘family’ to describe this feeling of belonging to something larger than themselves. BEST WORKPLACE FOR WOMEN This award was selected due to its importance in the prevailing socioeconomic context of the Sri Lankan workplace. Women constitute 57 percent of Sri Lanka’s population. Relatively speaking however, there is a lag in terms of female labour force participation. Even as the economy expanded, the female labour force participation rate in Sri Lanka declined from 41 percent in 2010 to 36 percent in 2016. Research attributes this lag to the lack of an environment that is conducive and a high prevalence of social limitations that render employment difficult for women. For instance, a woman’s role as a primary caregiver to children can hinder opportunities for employment. Female oriented practices that support work-life balance such as childcare facilities (crèches), maternity leave schemes and flexible hours enable women to remain an active part of the workplace. Discriminatory social practices integrated into the workplace can make workspaces unfriendly for women. Providing the necessary psychosocial support to encourage the participation of women in the workforce and break through the glass ceiling can help mitigate this in the workplace. Recognising the pivotal role women play in the labour force and sheer proportion of women capable of contributing to the economy, Great Place to Work recognises the Best Workplace for Women with a view to commend efforts made by organisations to creating more conducive environments for women. ORGANISATION SIZE (EMPLOYEE STRENGTH) The complexities and challenges of maintaining a great workplace culture often vary with the size of the employee population. Organisations that are ranked among the three best in class in their respective employee strength category (Small Organisations, Medium Organisations, Large Organisations and Extra-Large Organisations) are felicitated through this cluster of awards. ORGANISATION CLASSIFICATION This includes the top MNCs and PLCs in Sri Lanka. The leading multinational corporation as well as public limited corporation in Sri Lanka have been selected on the basis of the highest combined score in terms of employee perception through the Trust Index© survey and people practices with the Culture Audit©. It takes a continued focus and commitment to a cause to sustain a great workplace culture. Organisations that have demonstrated a commitment to employee engagement and people management by gaining a place in the list for five consecutive years are recognised as Laureates among the Best Workplaces. The following organisations join the list of Sri Lankan Laureates this year: Singer (Sri Lanka) and Oxford College of Business. The Great Place to Work annual study of Asia’s Best Workplaces recognises great workplaces in the Asia-Pacific and Middle East. More than 1,200 organisations were considered, representing the voices of over two million employees across nine countries. The list recognised the 65 Best Workplaces that fall under the categories of Best Multinational Workplaces in Asia, Best Large Workplaces in Asia, and Best Small and Medium Workplaces in Asia. Two organisations operating in Sri Lanka have been recognised by the Asia list for their dedication to sustaining high trust cultures for their employees: DHL Keells (Best Multinational Workplaces in Asia) and 99X Technology (Best Small and Medium Workplaces in Asia). FOOTNOTE Winners in each category will be announced at the Great Place to Work® Sri Lanka Awards Ceremony this month.